For the latest episode of the Wushu Adventures Podcast, we’re joined by Jennifer Wang, an old friend who has had a unique perspective with wushu and China. We discuss her experiences working for Jet Li and his wife and beginning her Taiji and Wushu training in the U.S.
We also dive deep in to her experiences training at a remote school in Shandong province where she met Wang Wei, a Chinese national champion and member of the Shandong Wushu Team, who later became her husband. With Jennifer’s understanding of Chinese I also picked her brain on how she learned the language (and it isn’t what you might think), her studies at Beijing University, and suggestions on study methods. 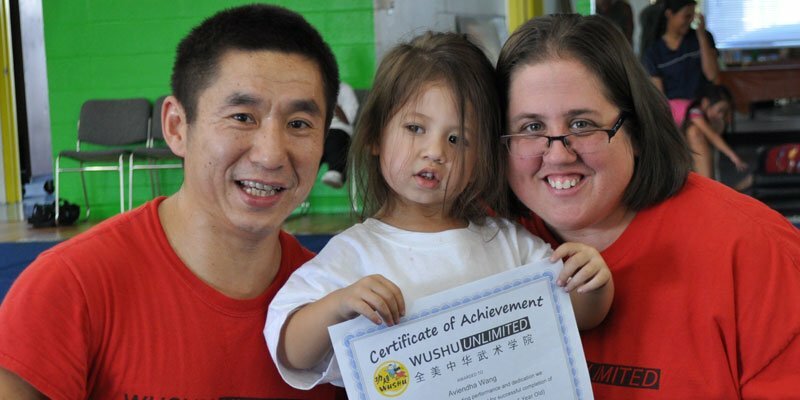 Finally, we talk about the promotion of wushu in the West and the school she recently started with Wang Wei, Wushu Unlimited, located in Monrovia, California. Many thanks to Jennifer for sharing great information on this podcast. If you have any comments or questions just post them in the comments area below.